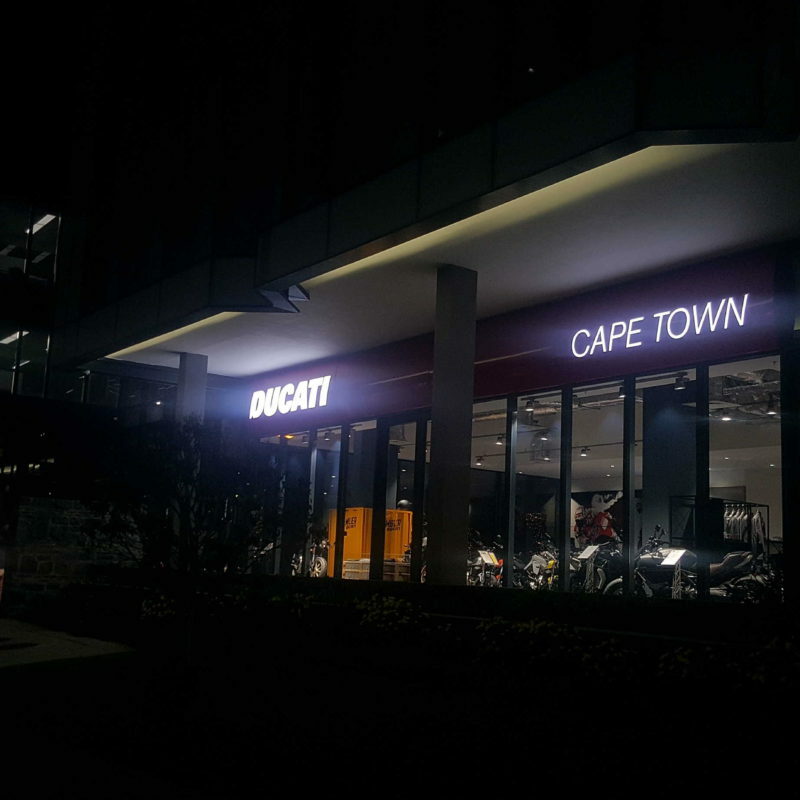 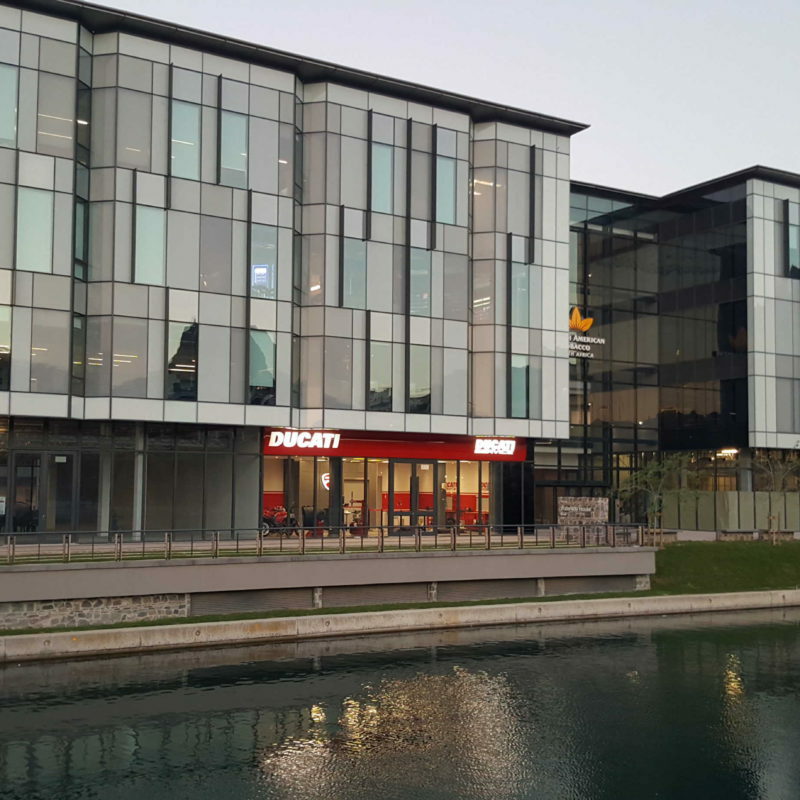 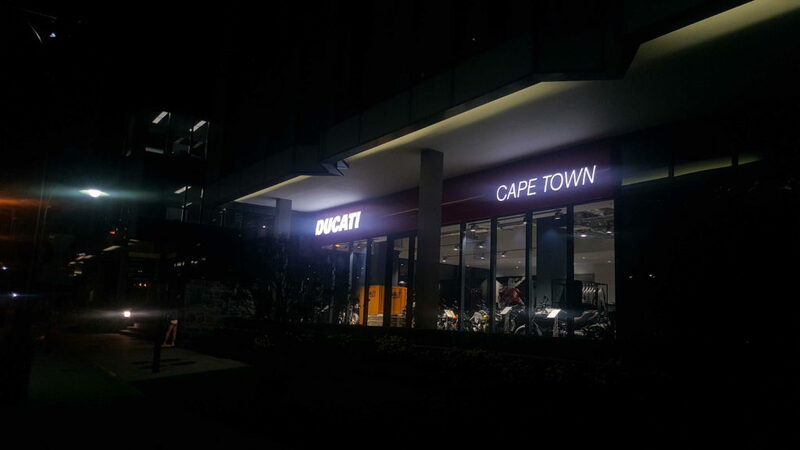 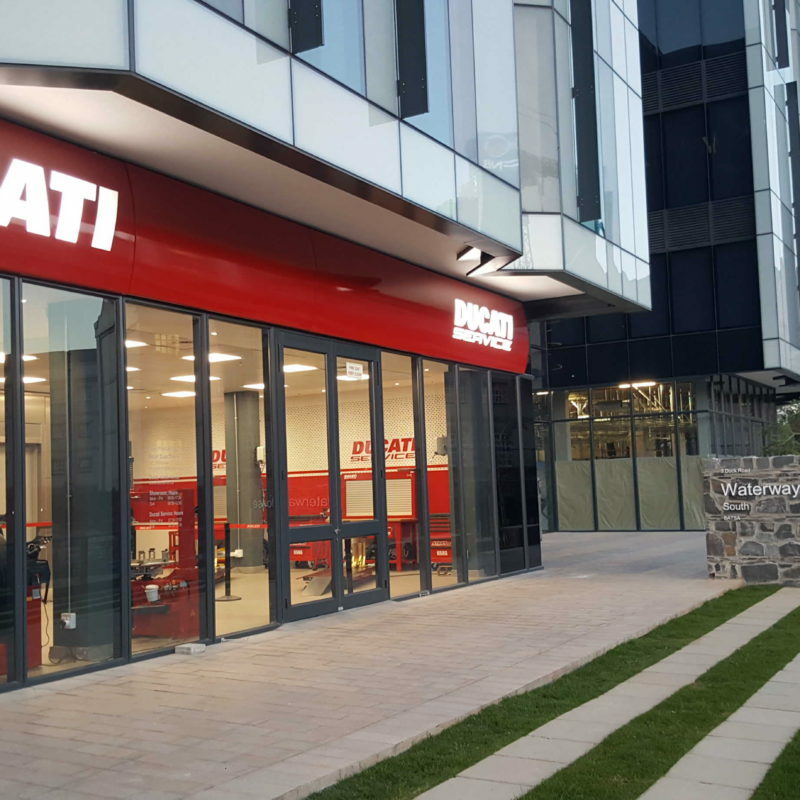 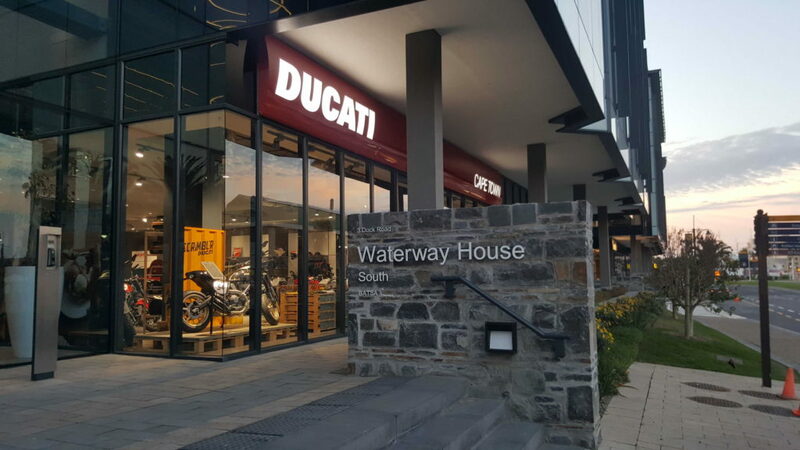 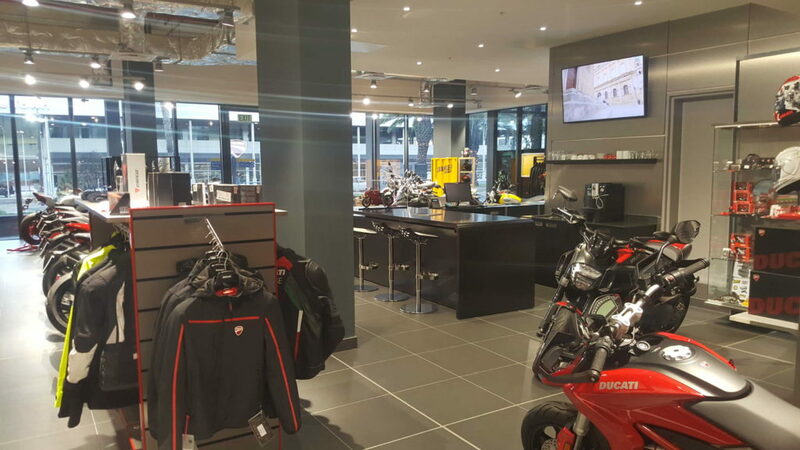 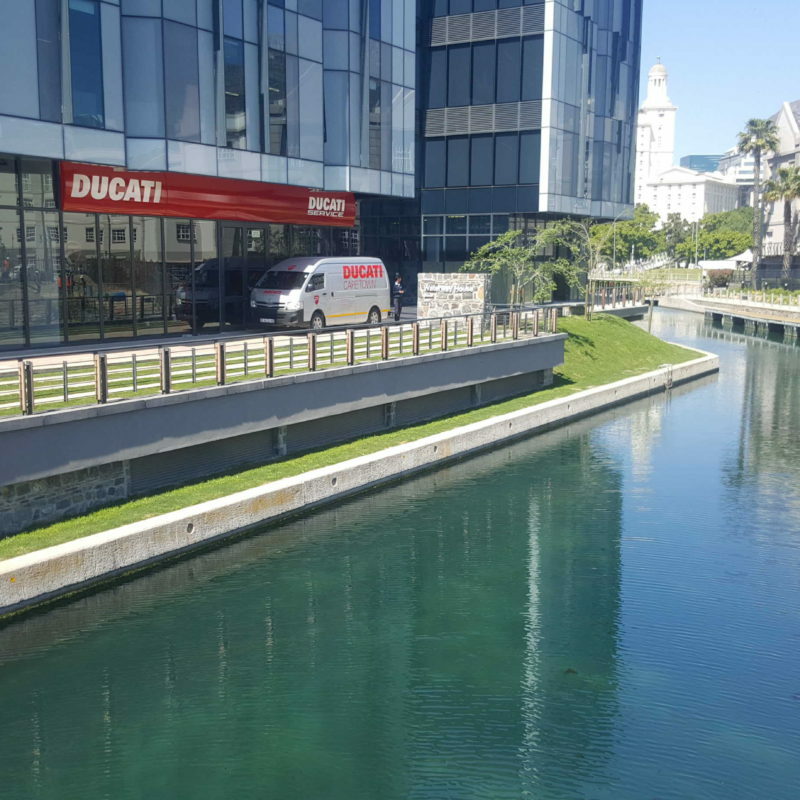 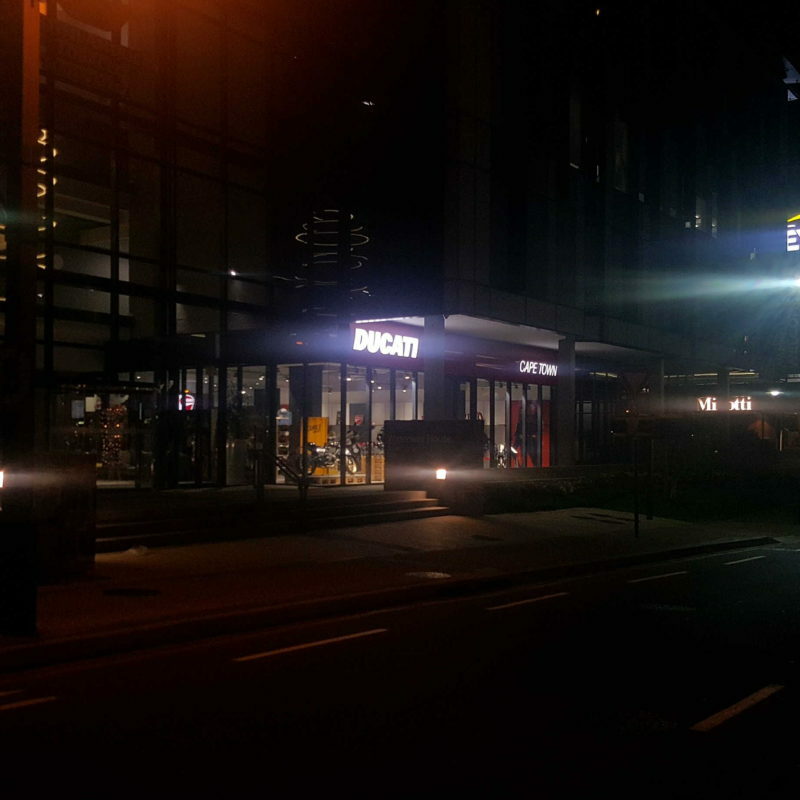 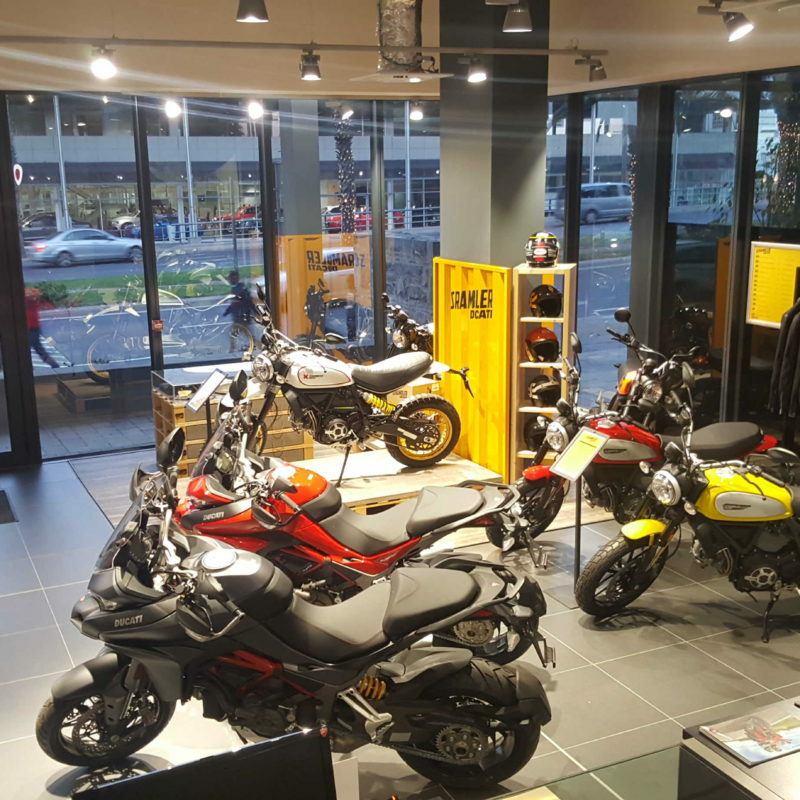 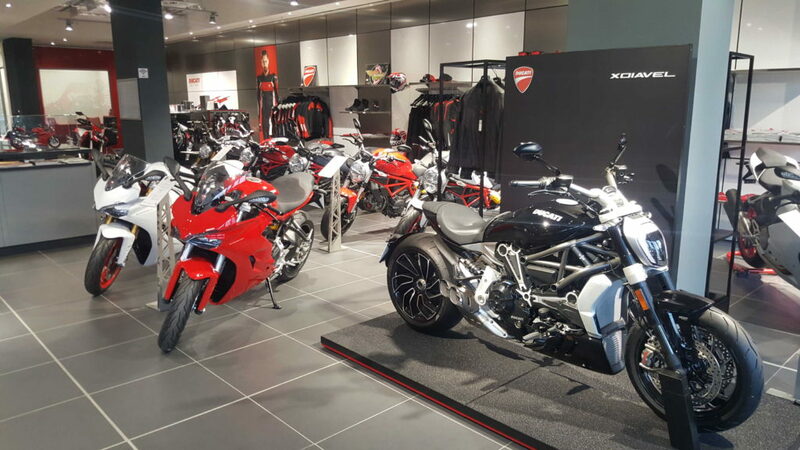 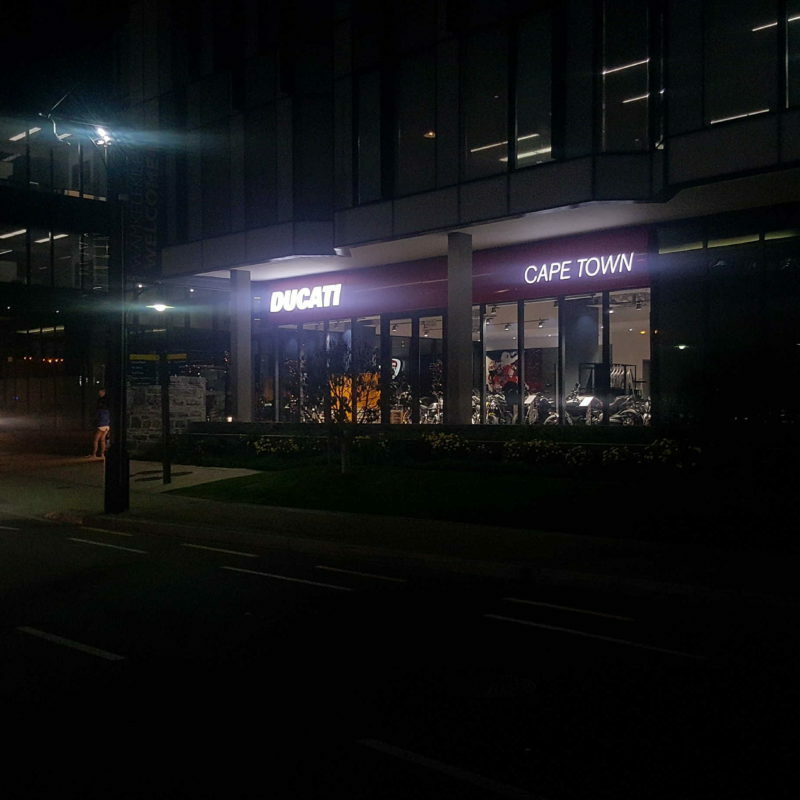 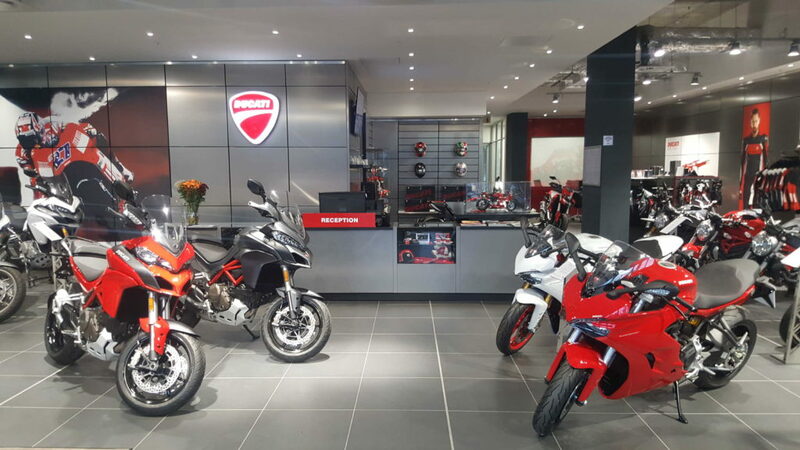 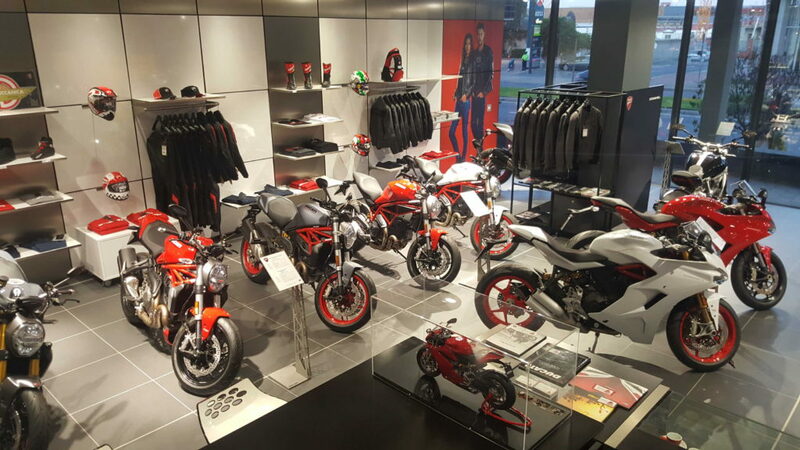 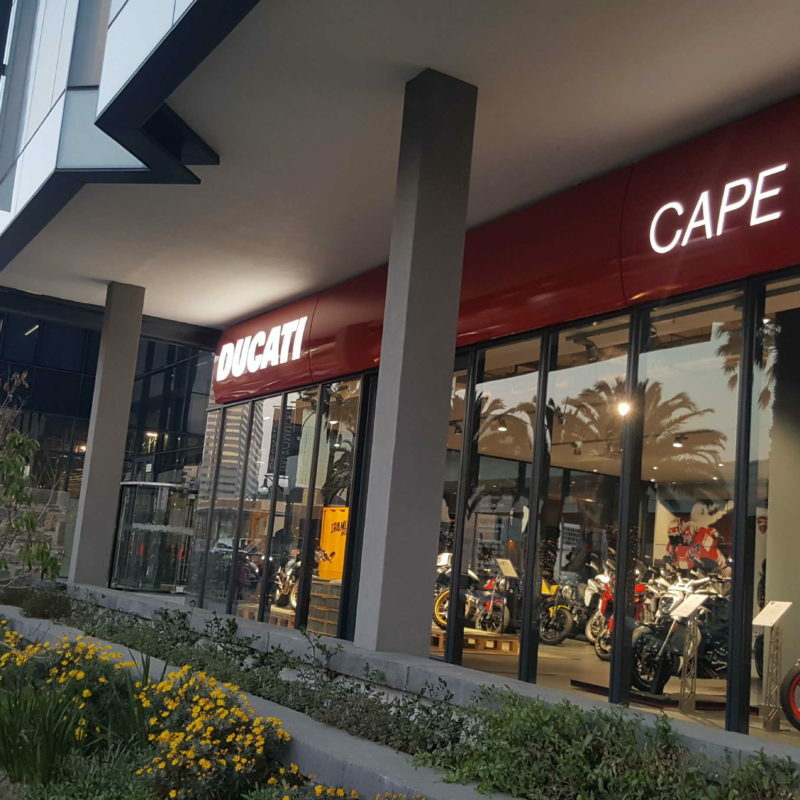 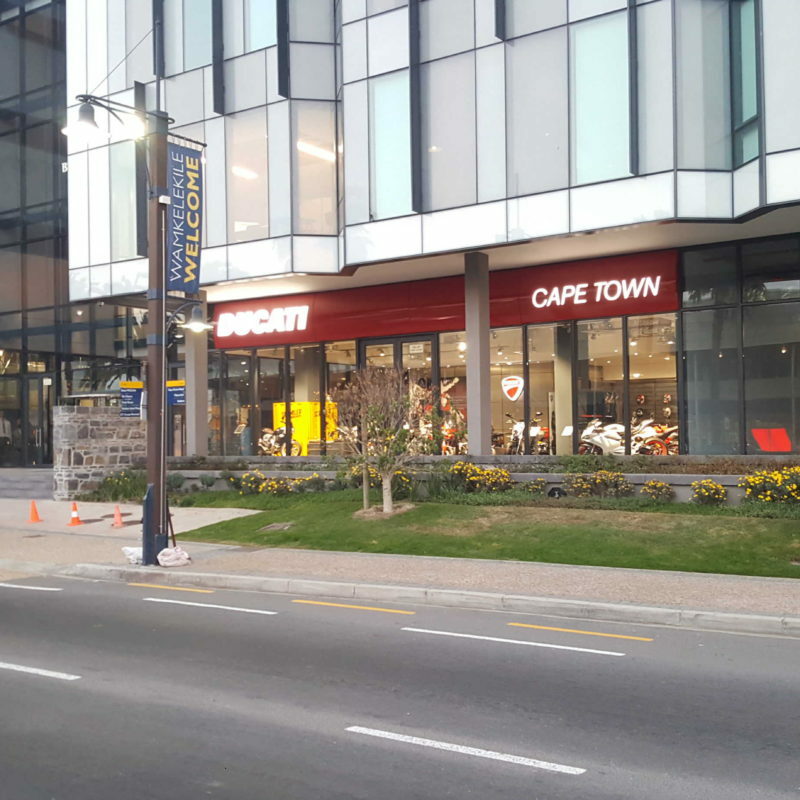 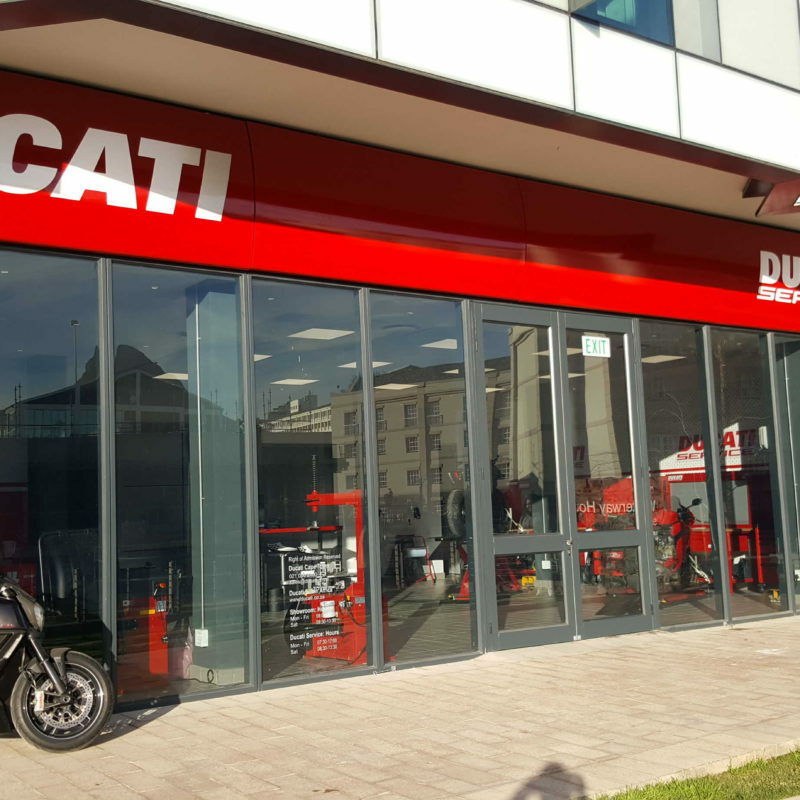 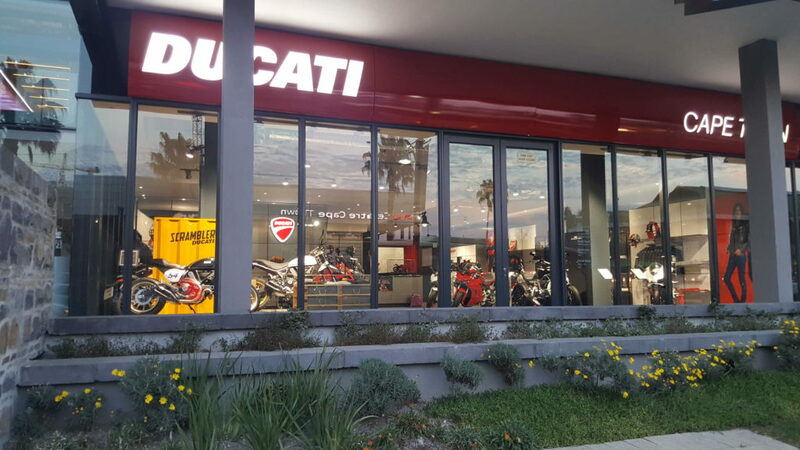 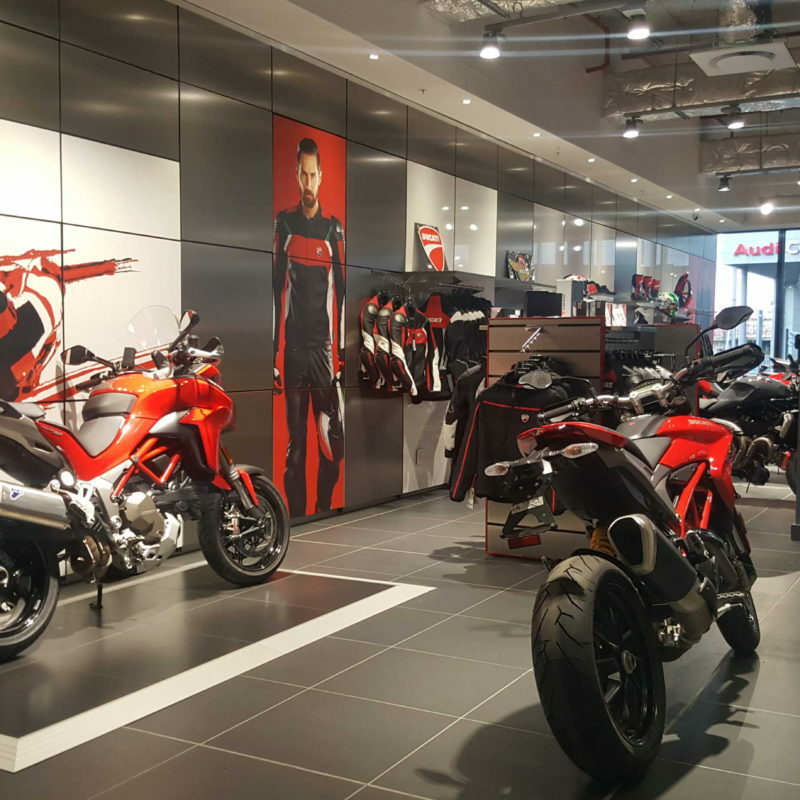 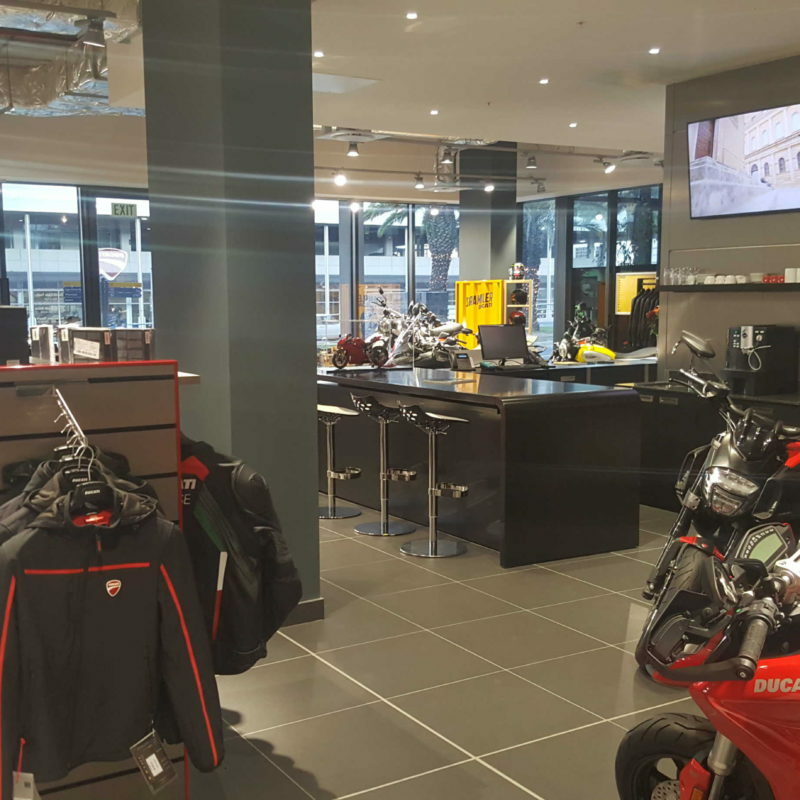 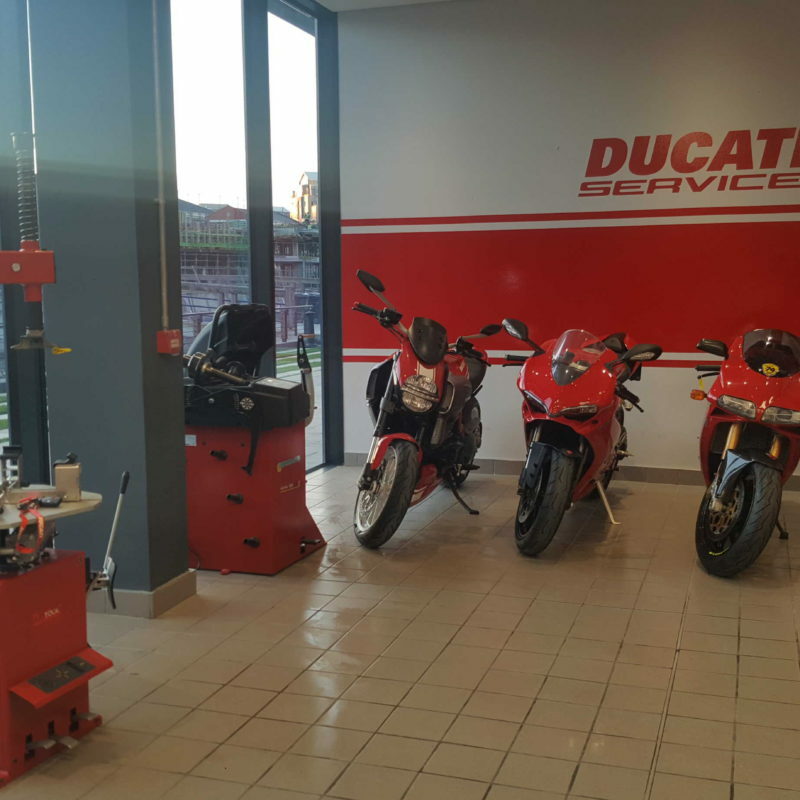 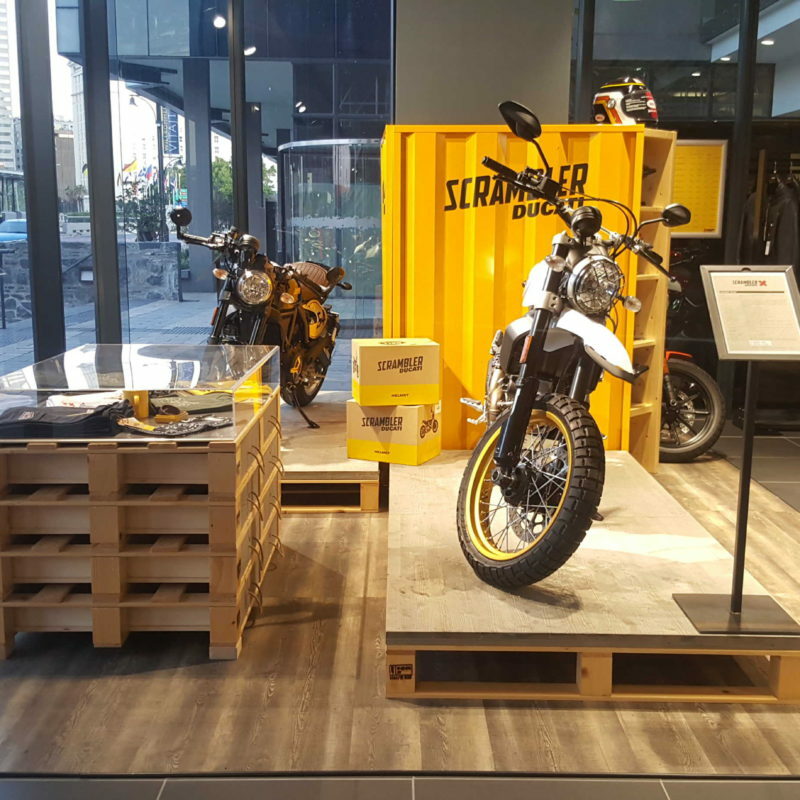 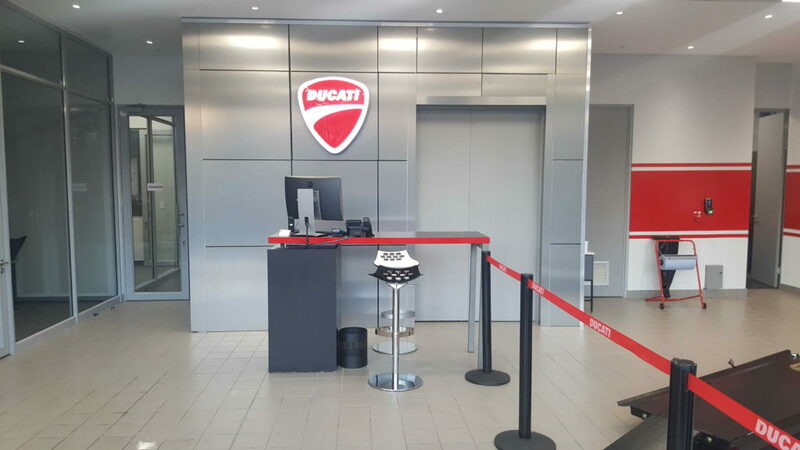 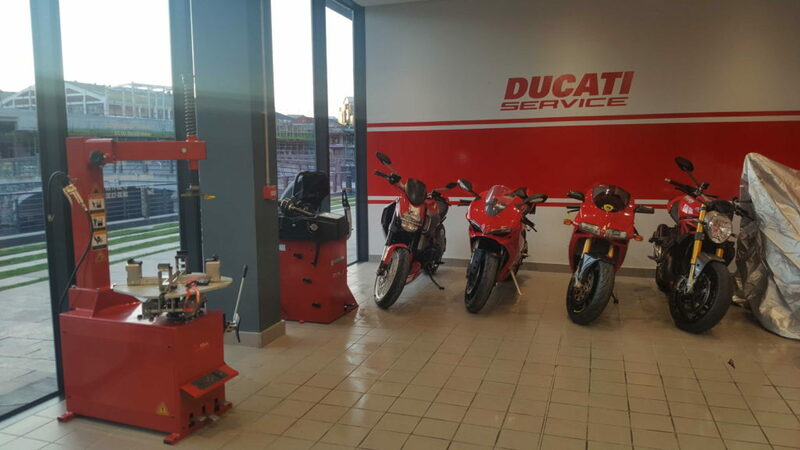 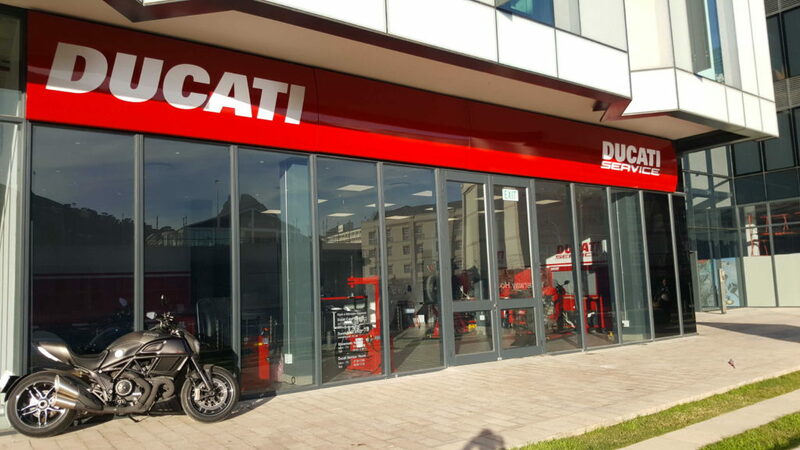 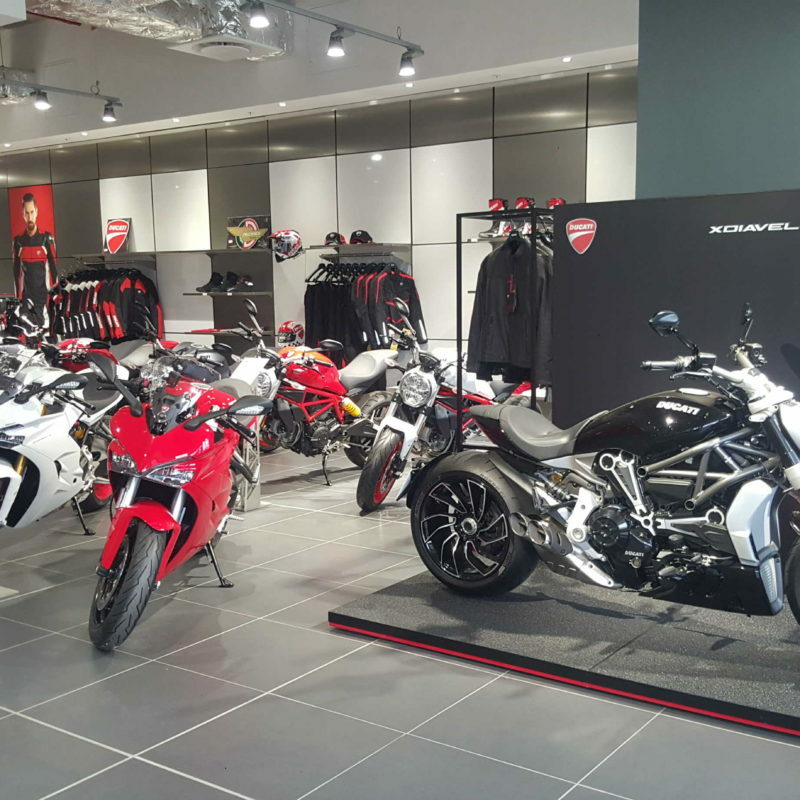 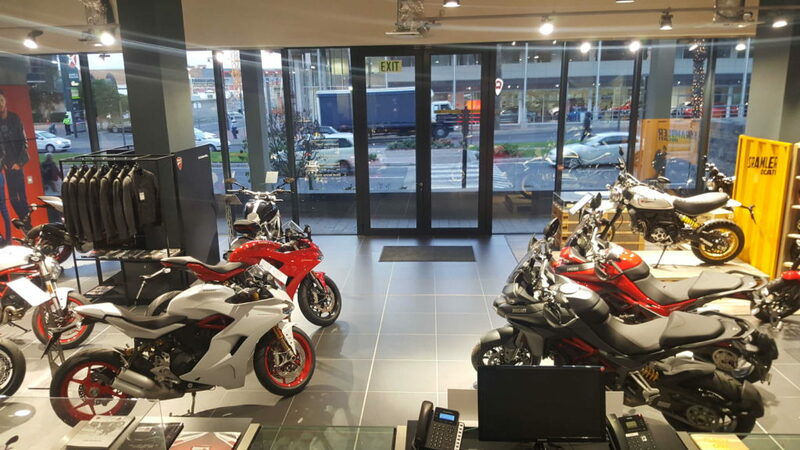 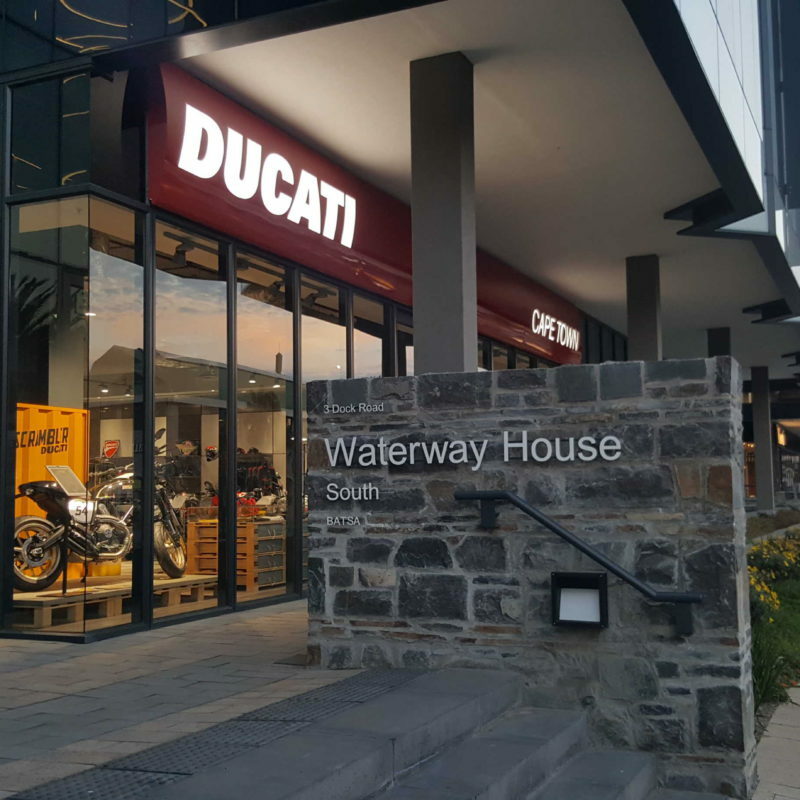 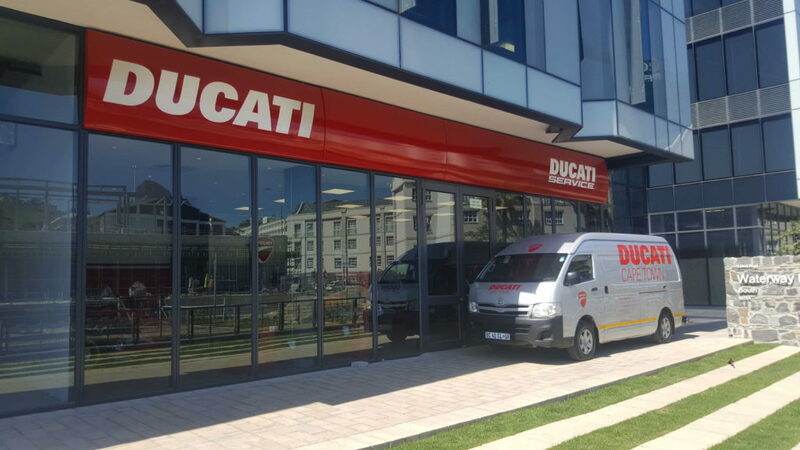 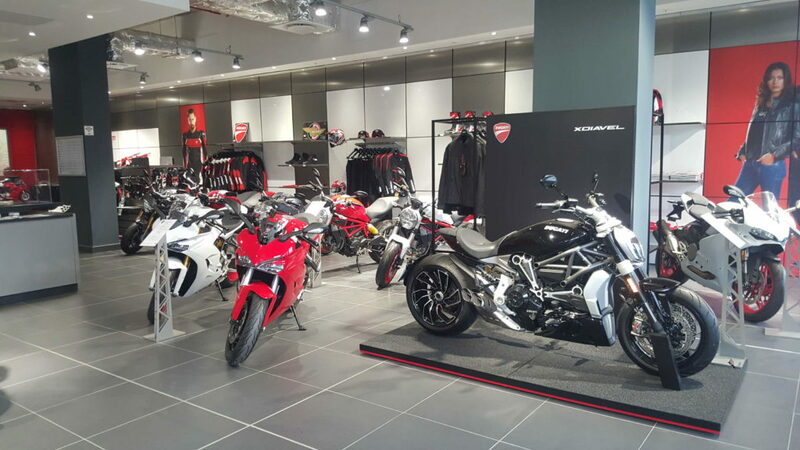 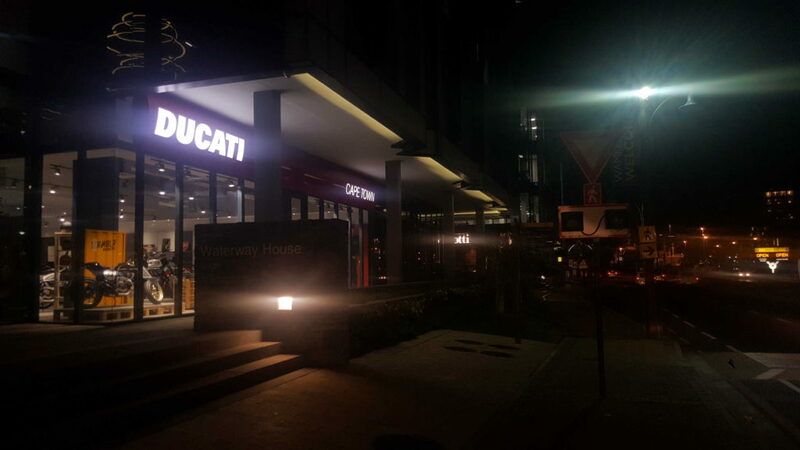 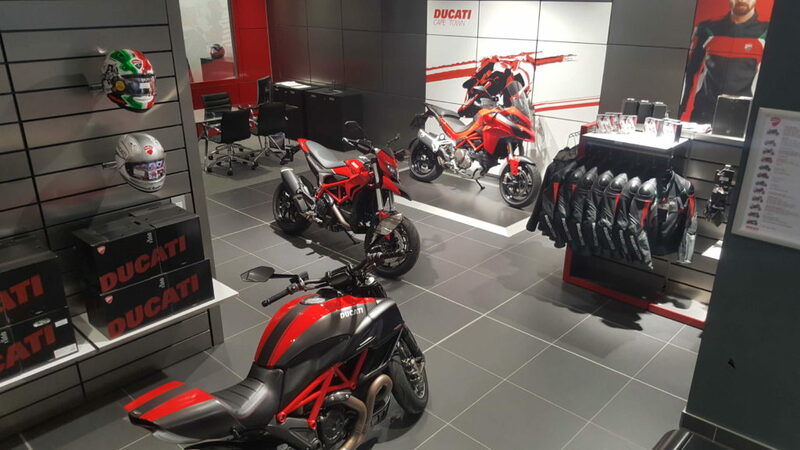 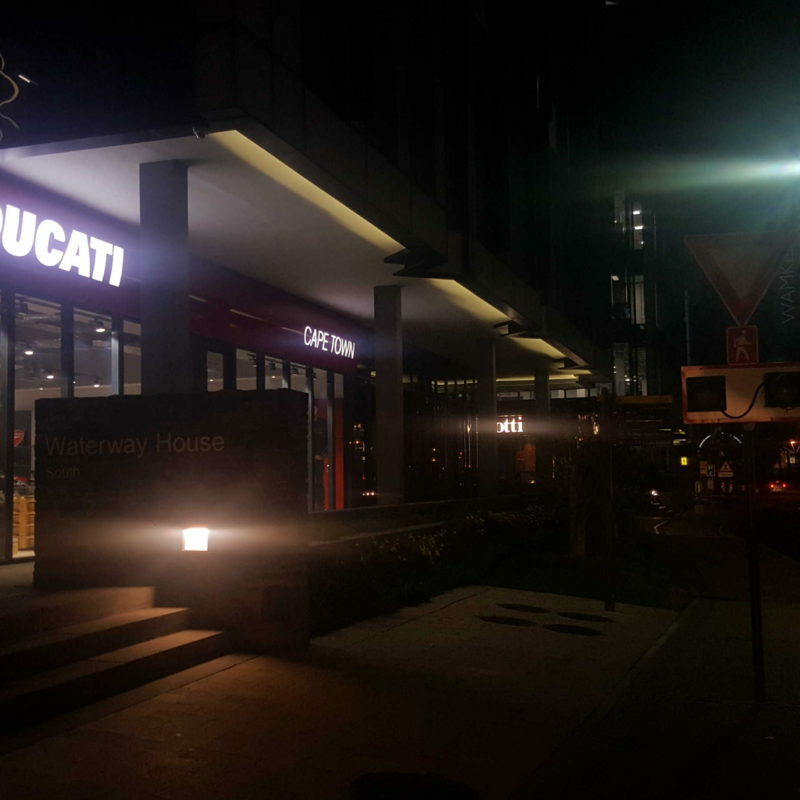 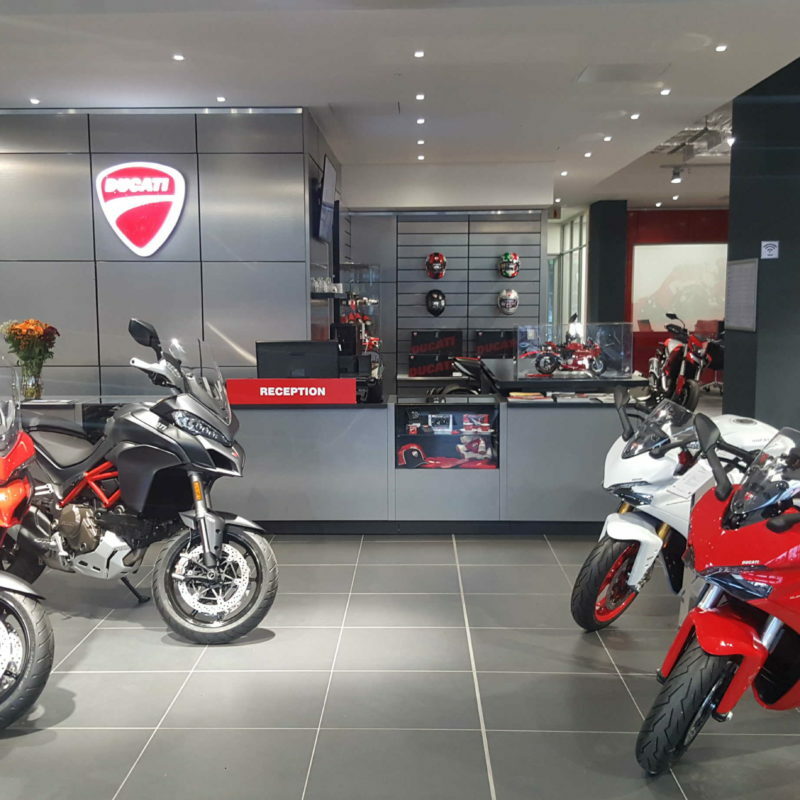 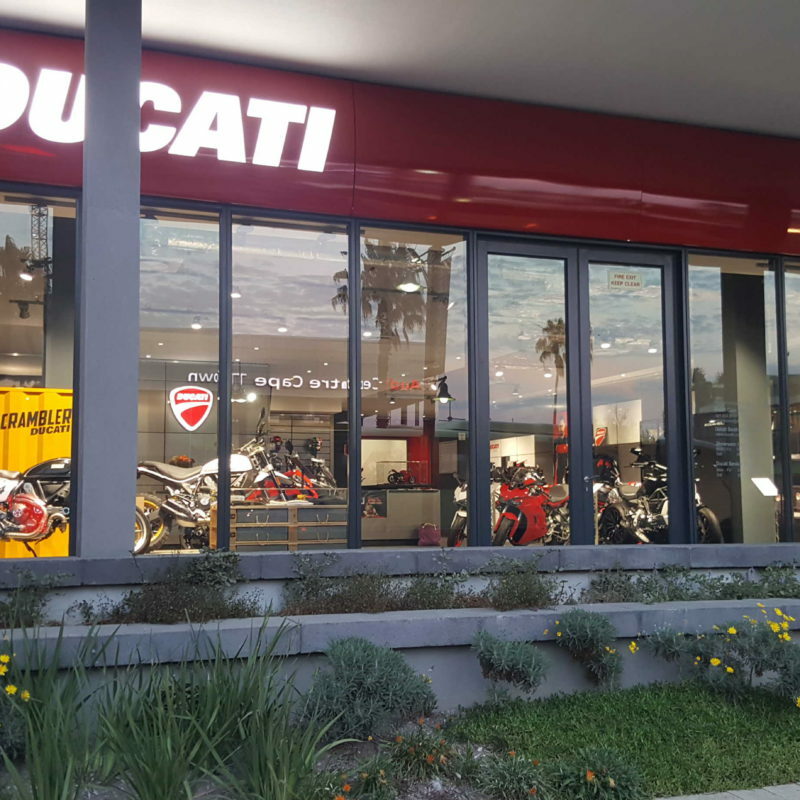 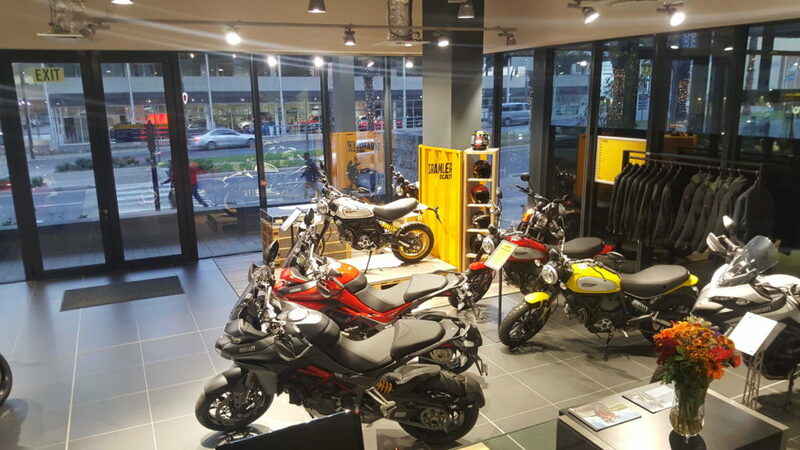 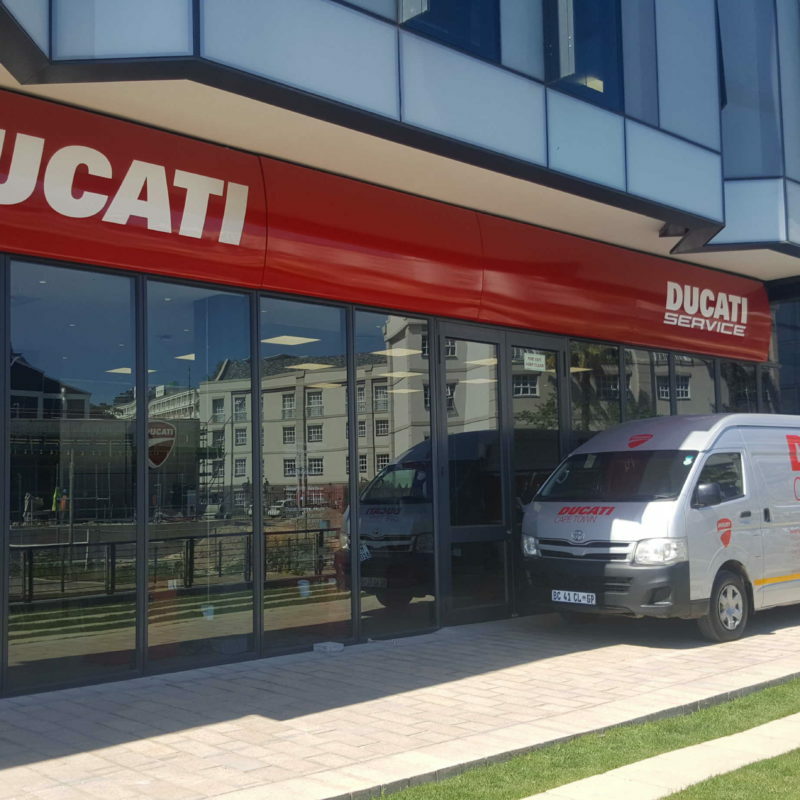 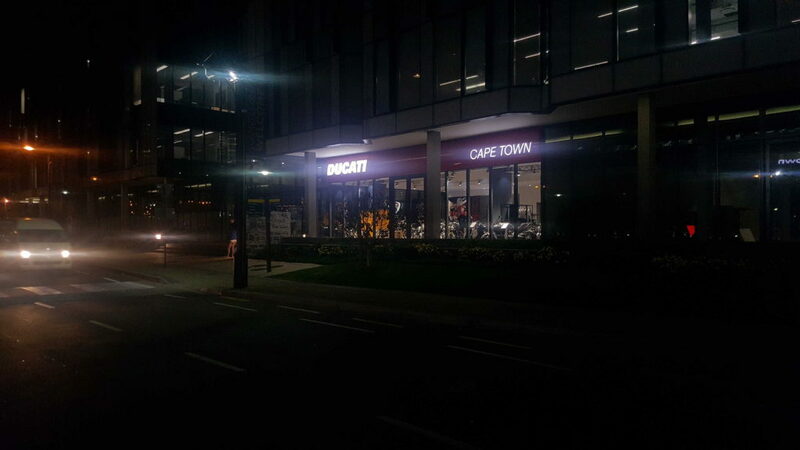 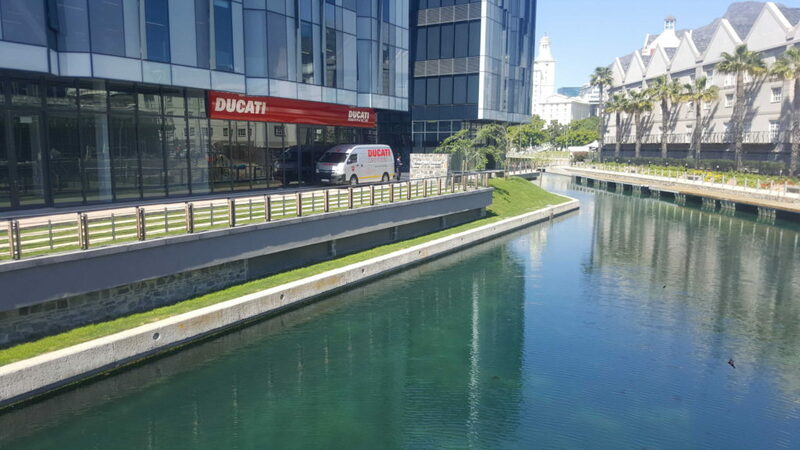 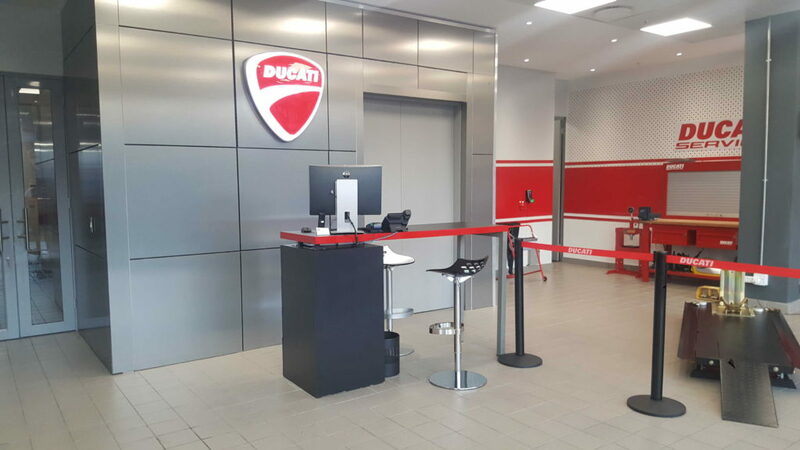 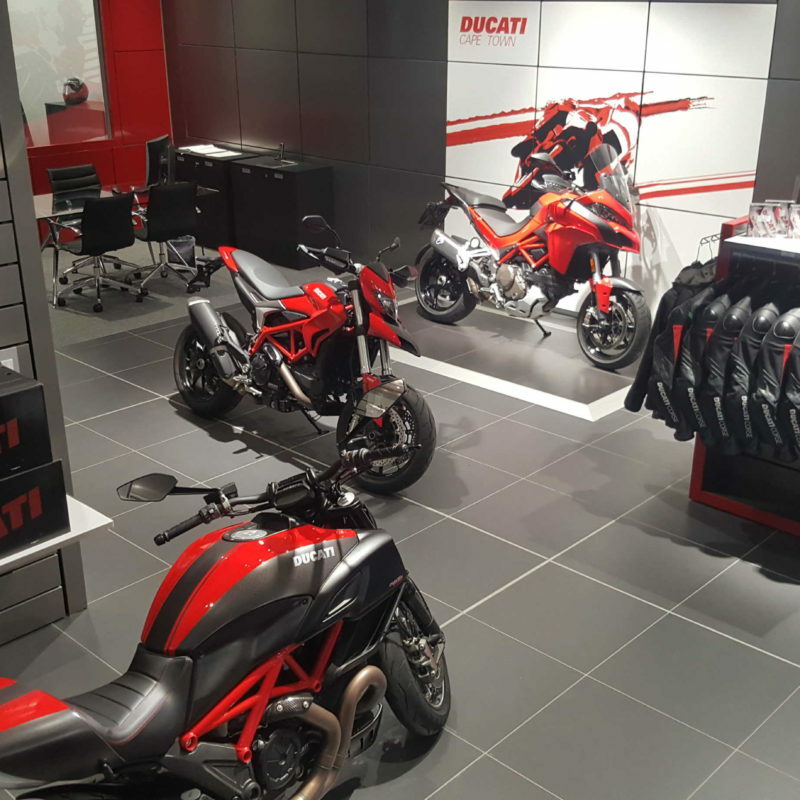 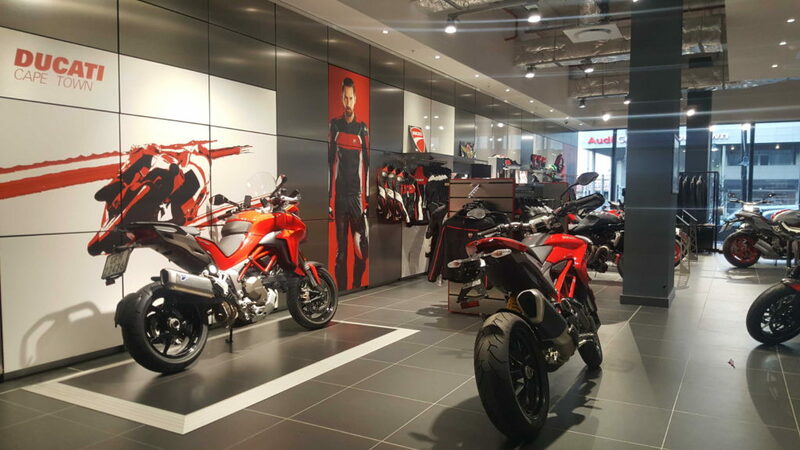 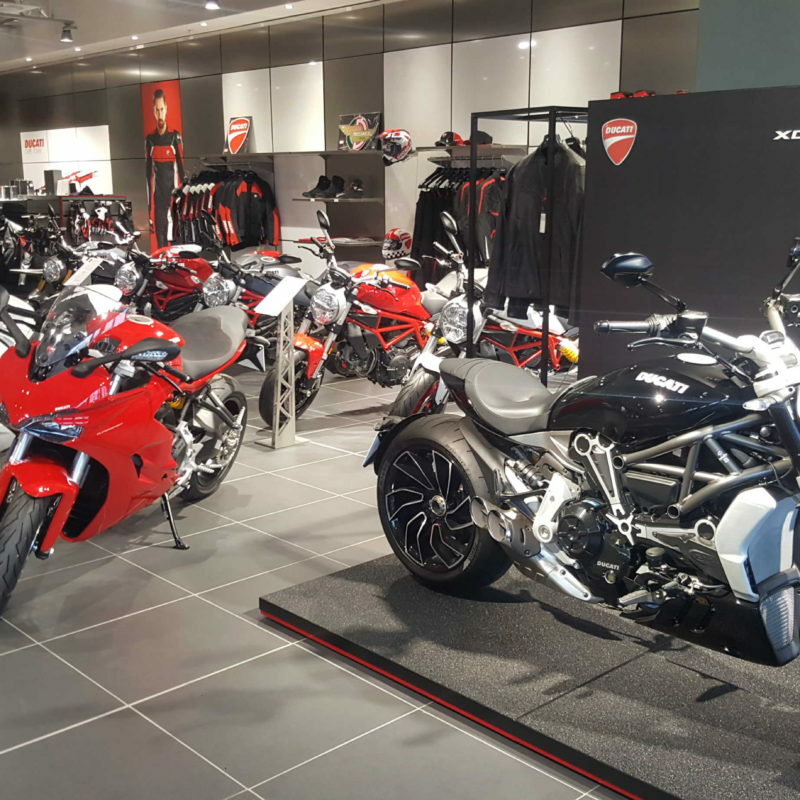 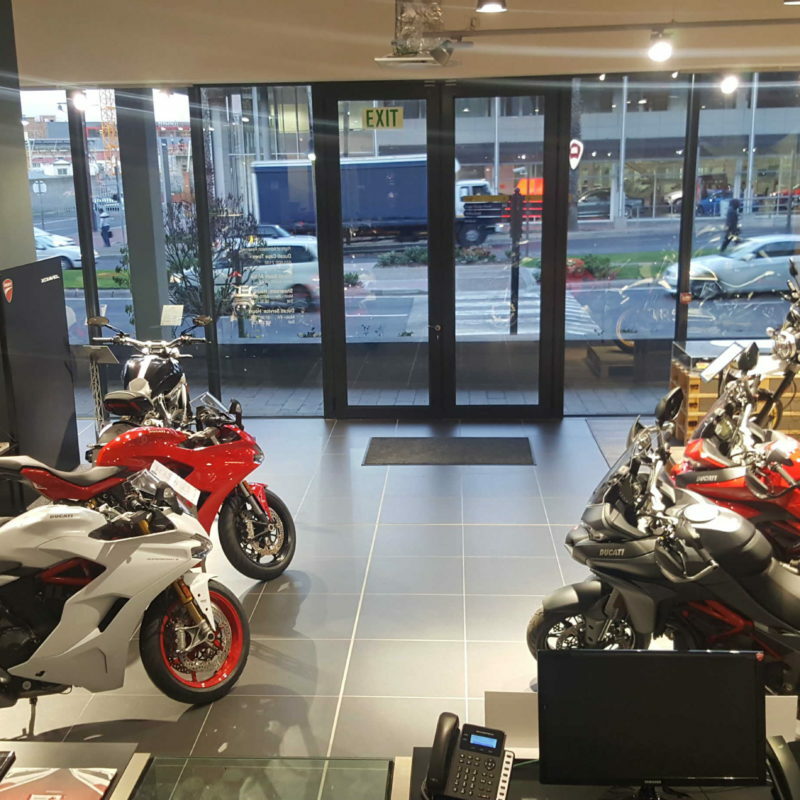 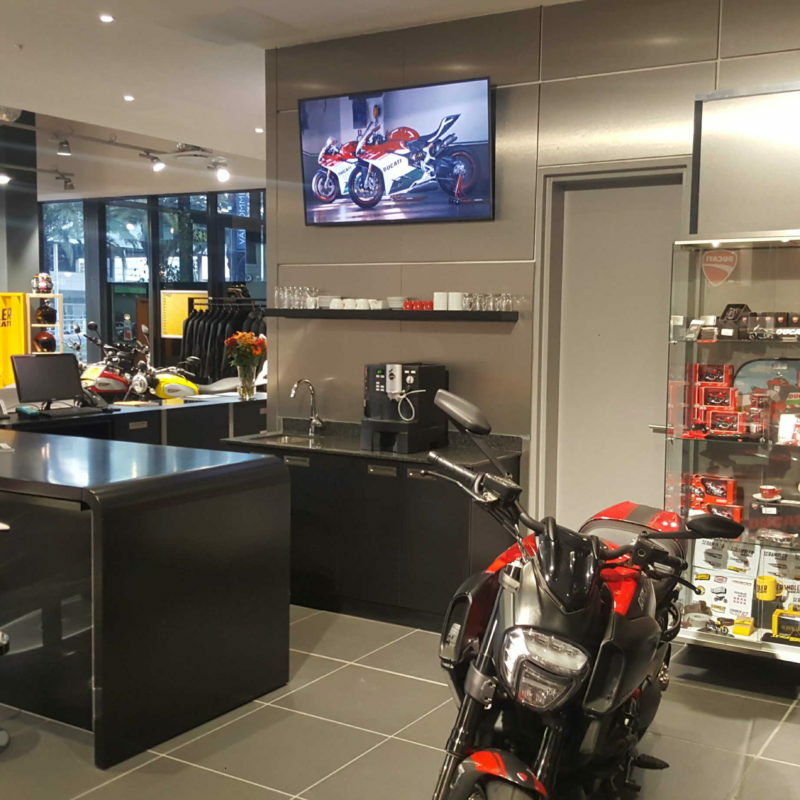 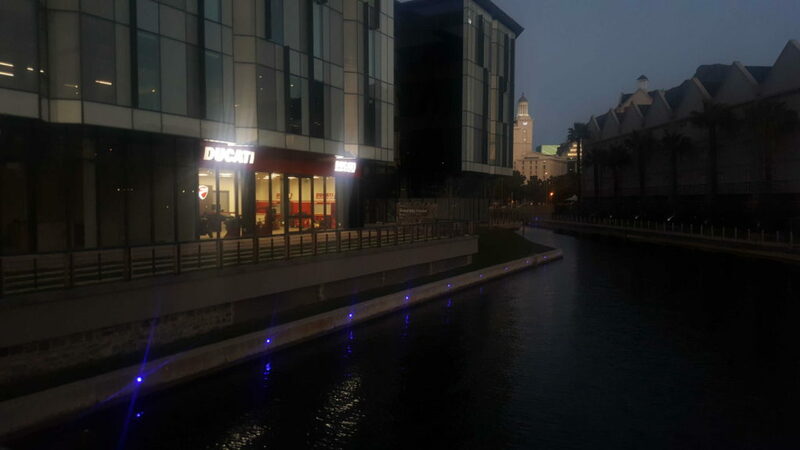 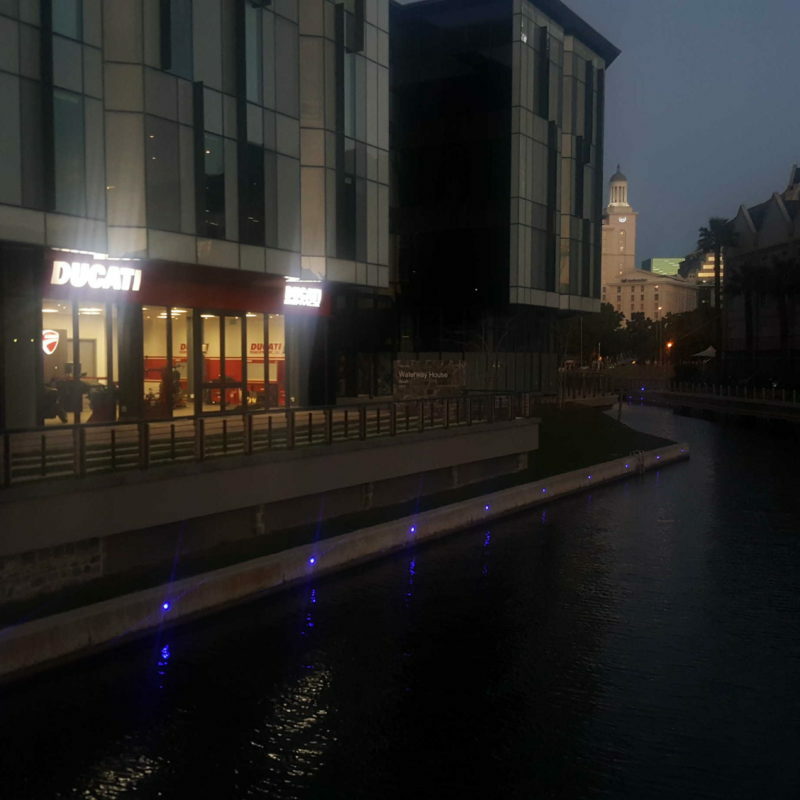 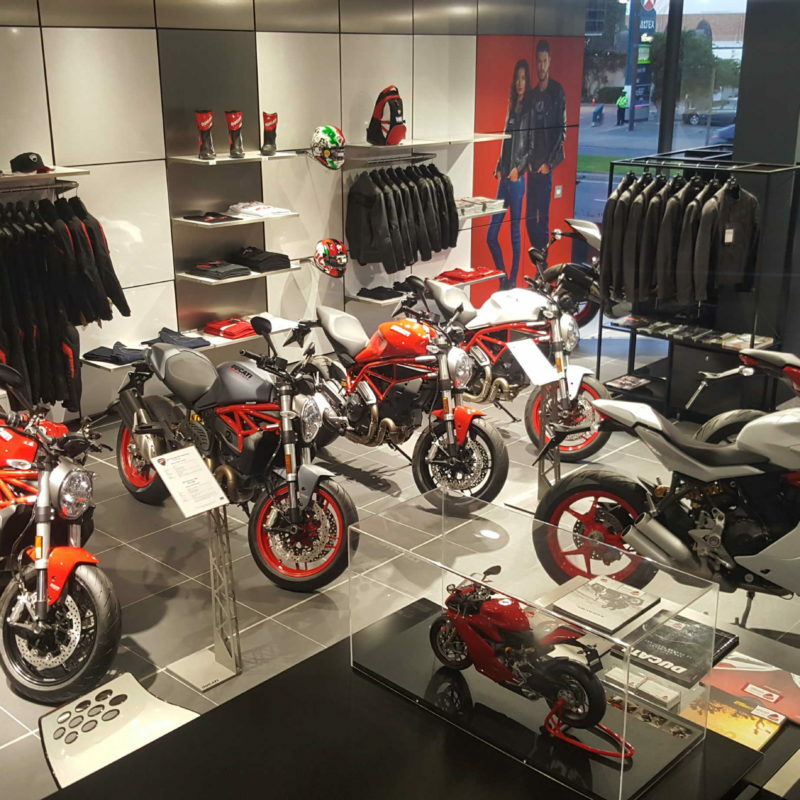 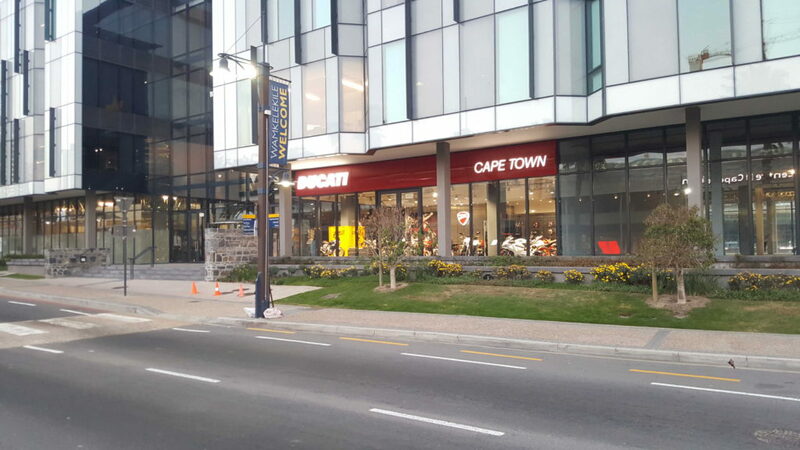 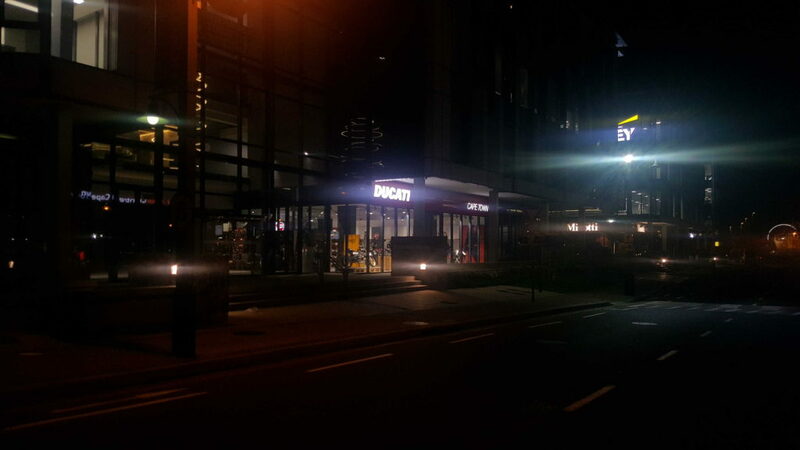 As we reported a little while ago, Ducati has opened a new dealership along the V&A Waterfront in Cape Town. 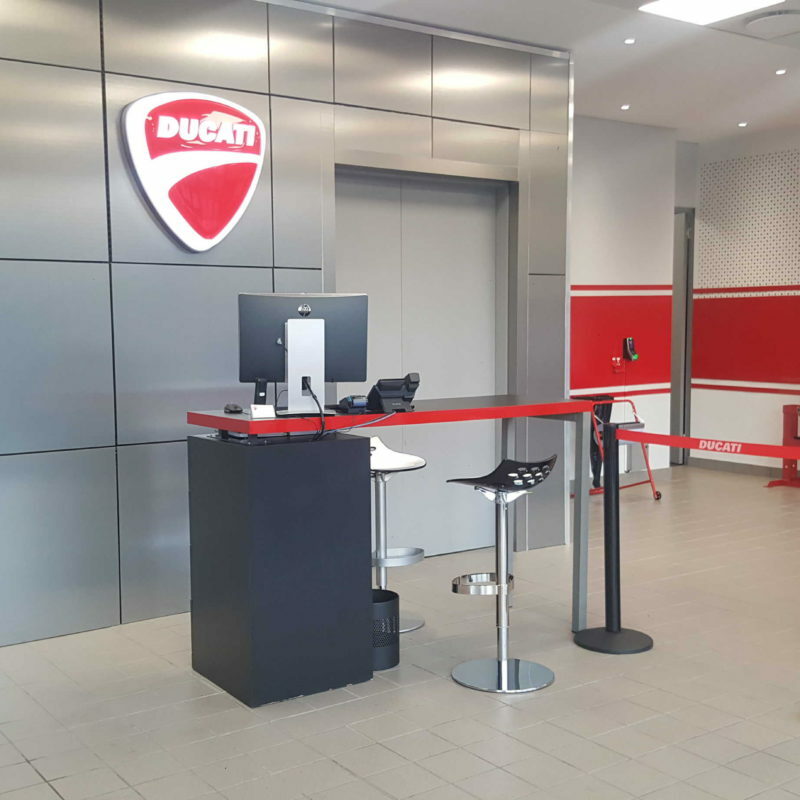 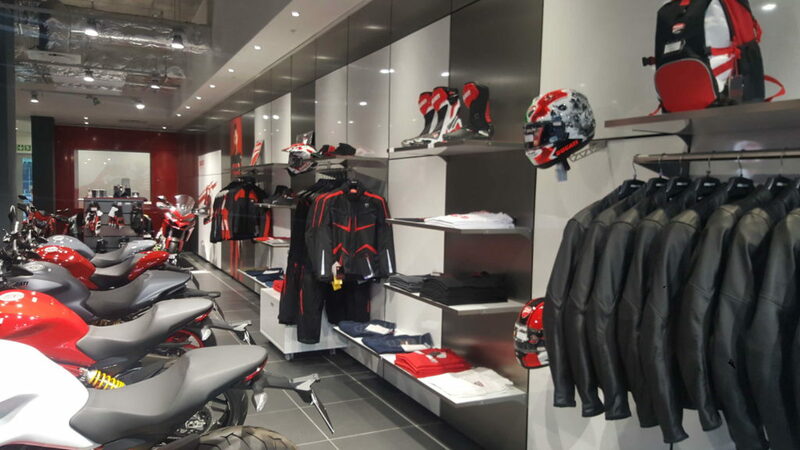 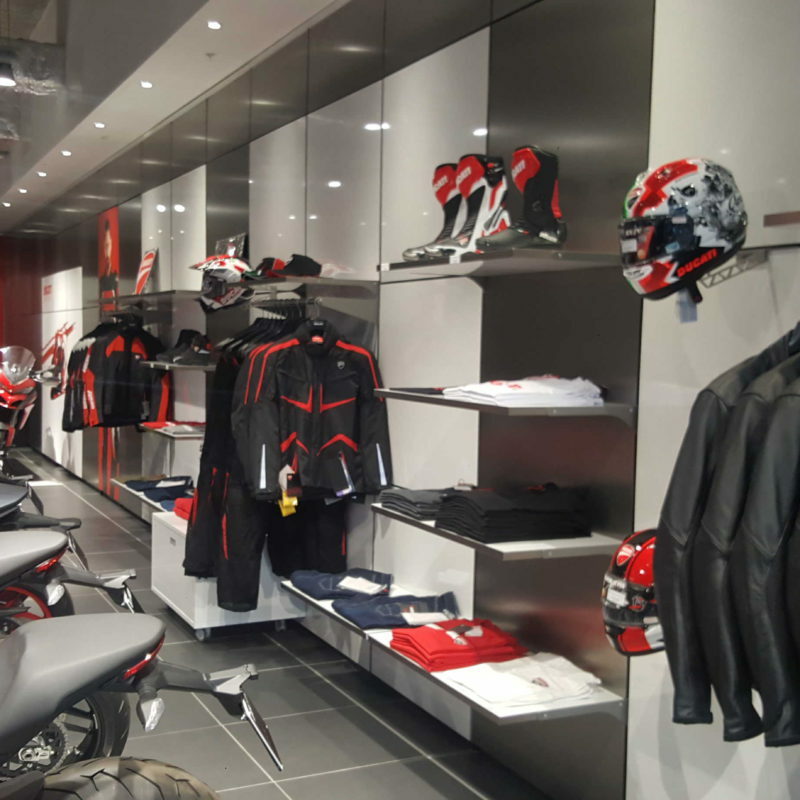 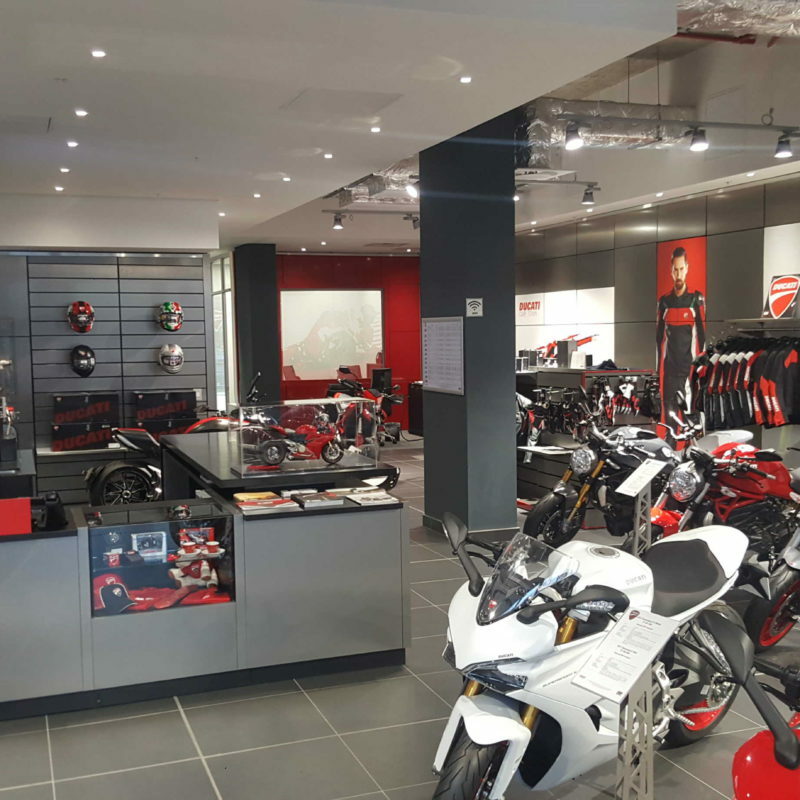 This is exciting news for Ducati fans in The Mother City as they have been some time without a full-on Ducati store. 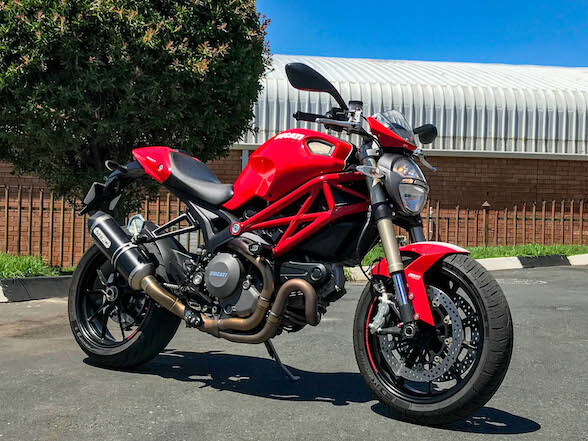 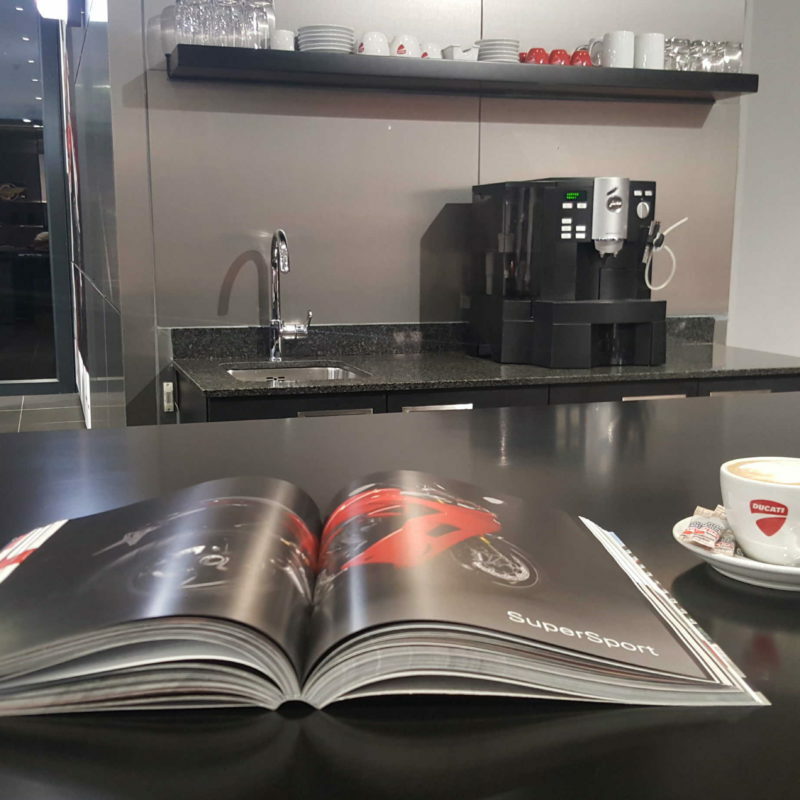 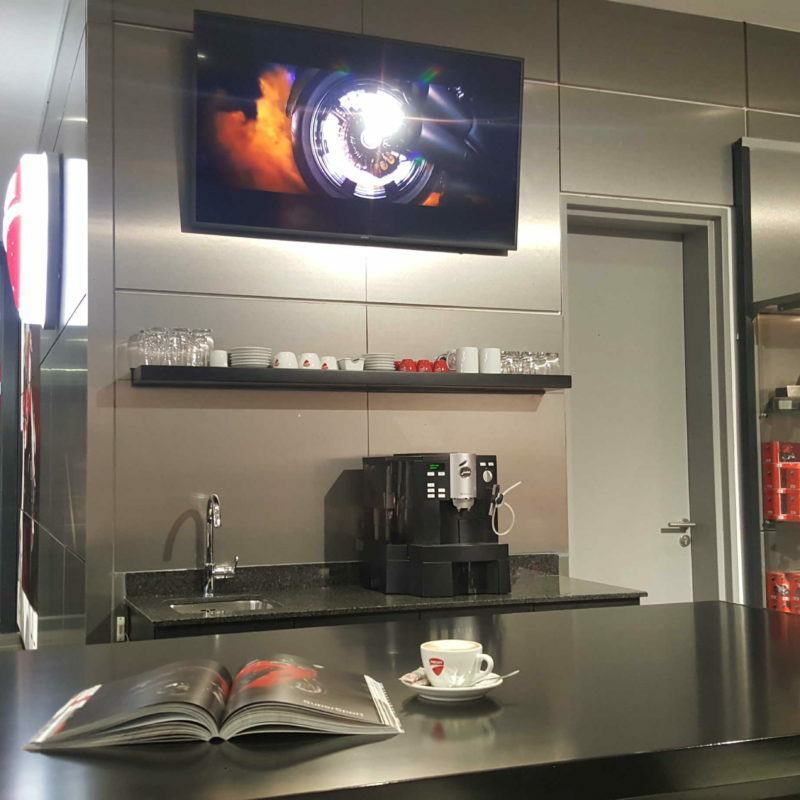 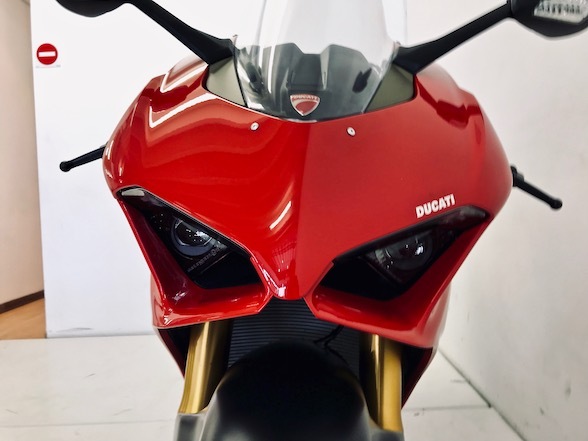 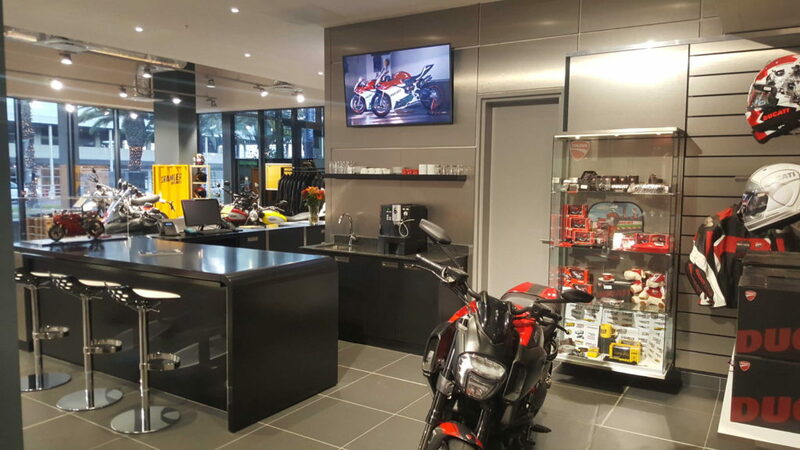 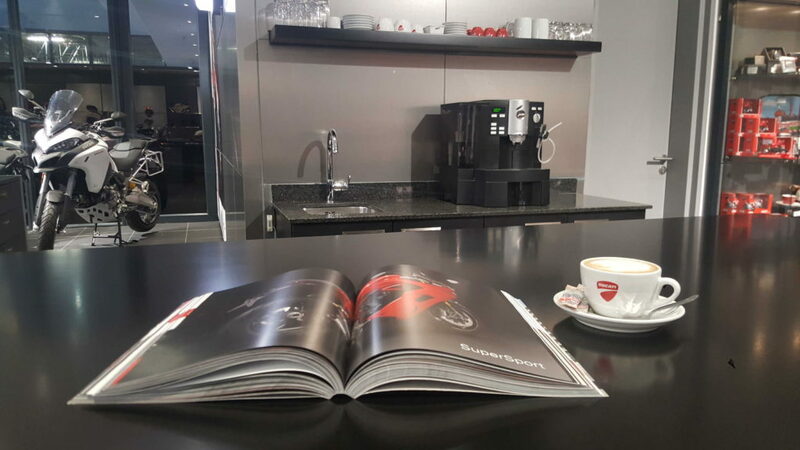 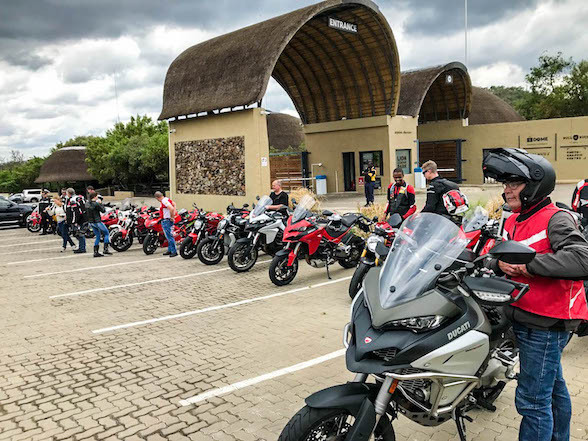 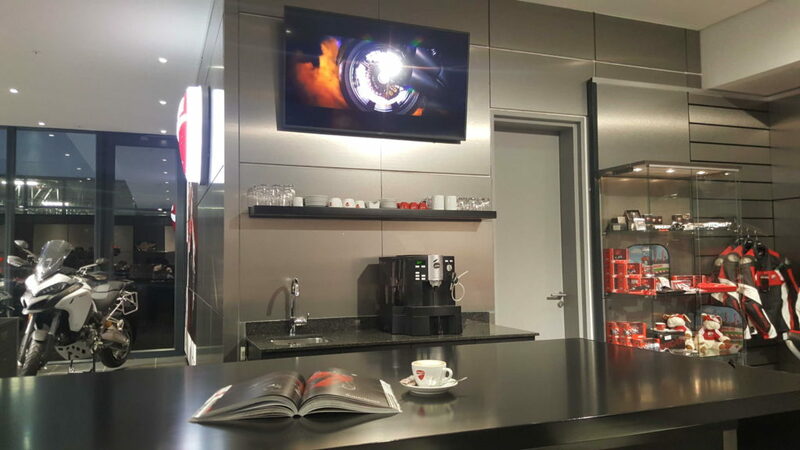 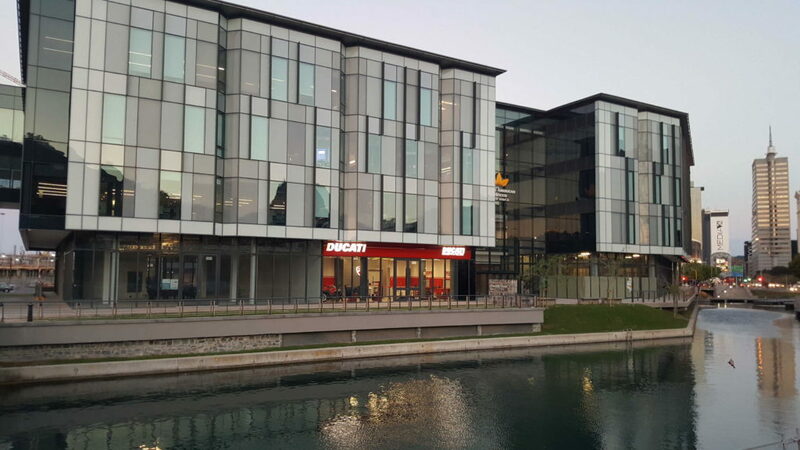 Ducati South Africa has released some new images of the premises that, like the Johannesburg dealer, features a snazzy decor, the full range of models, a sizeable accessories display, a coffee area, an elegant service department and, unlike the Johannesburg dealer, a view overlooking the water. 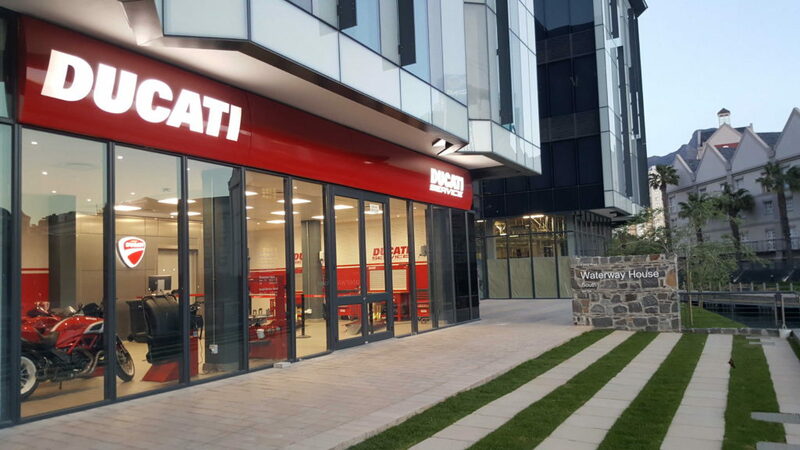 Ducati South Africa is under the ownership of Toby Venter, the same man responsible for the success of Porsche SA and the new, revamped Kyalami race track. 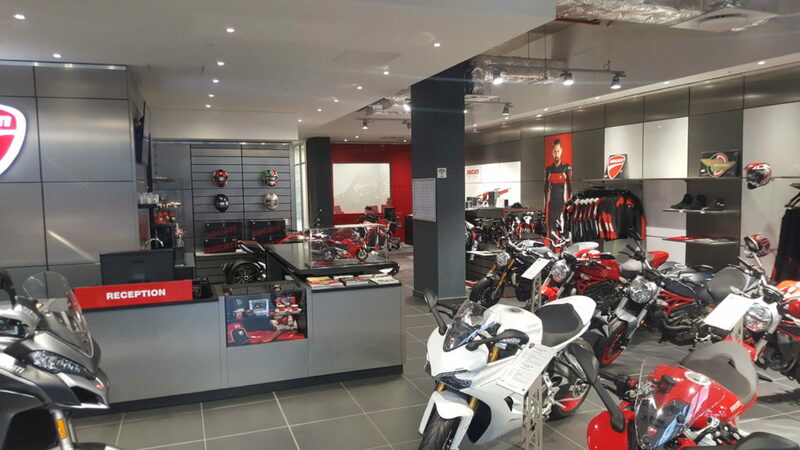 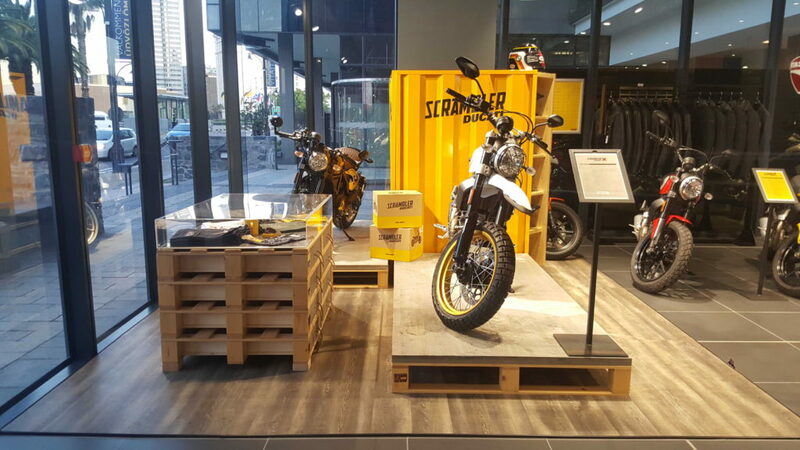 The company is directed by Johnny Araujo who has seen the brand rejuvenated in South Africa with increased sales, service and image despite, until recently, operating mostly out of only the Johannesburg dealer. 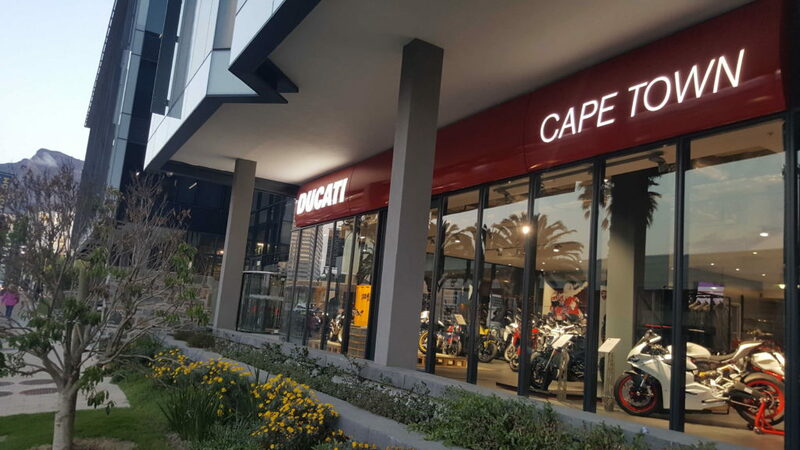 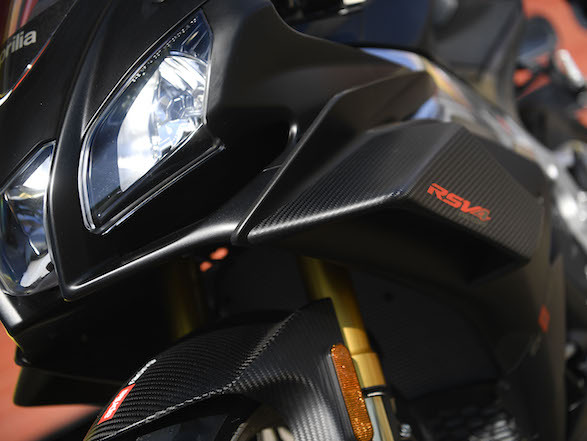 According to Araujo, Cape Town is the first dealership in their expansion plan that will see more dealerships in major metropolitan areas across South Africa. 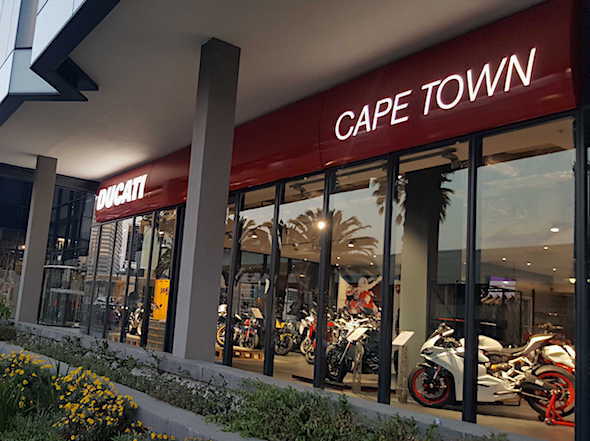 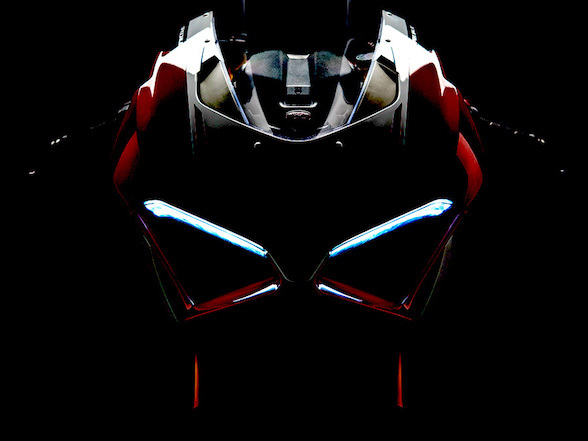 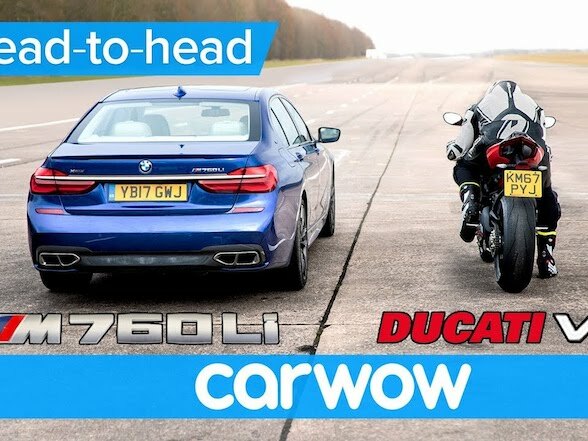 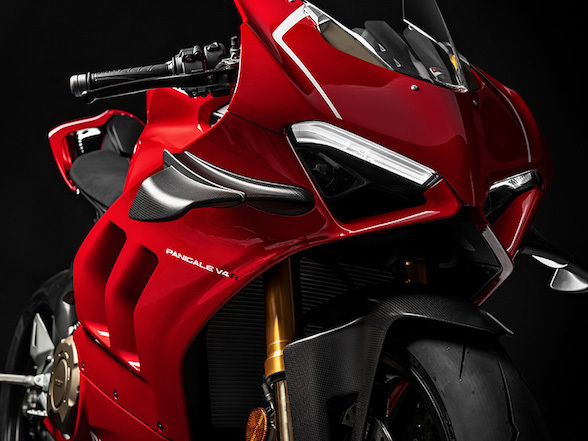 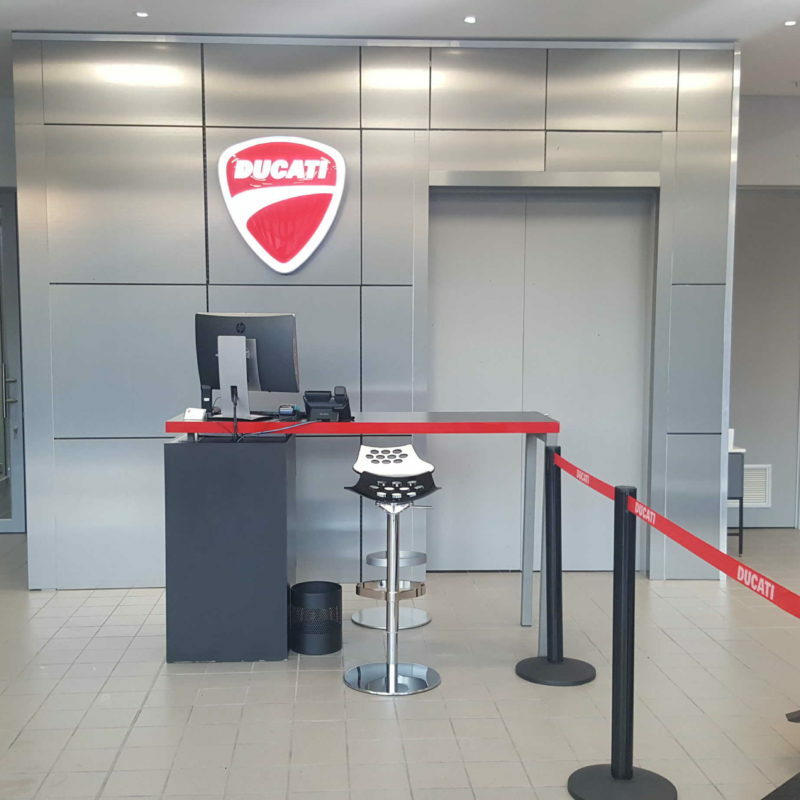 Until then, Ducati has authorised service dealerships in Durban, Port Elizabeth, Bloemfontein and Nelspruit.